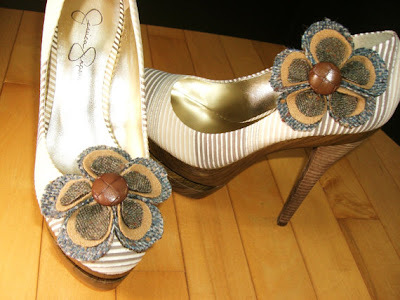 Think fab clip on jewelry for your shoes - shoe clips are another way for us accessory obsessed and budget minded chicks to get more bang for our buck. 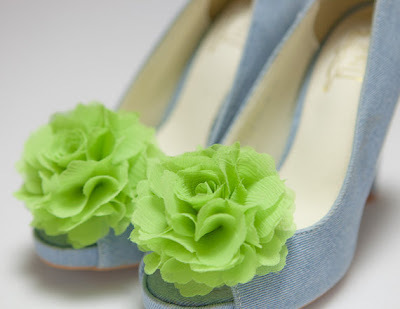 I, for one, am always looking for interesting little ways to further define my personal style and I think shoe clips would be a step in the right direction. I used white and black polka dot bows in satin fabric to add a bit of whimsy to a pair of basic Alfani platform pumps. Très chic when paired with a red pencil skirt or black fit and flare dress without a lot of effort. 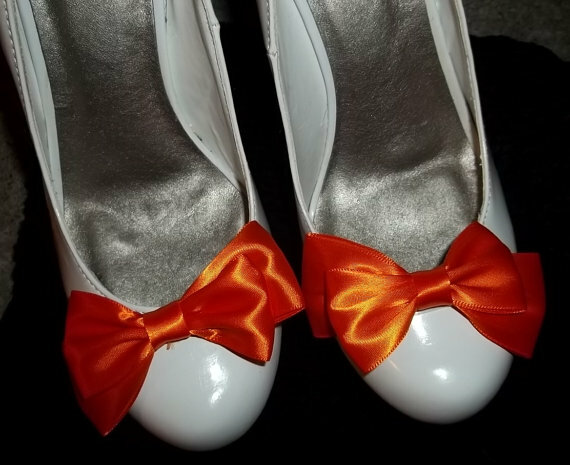 Of course I think the real fun begins when you don't exactly match your clip to your shoe, but combine complimentary or contrasting shades instead. 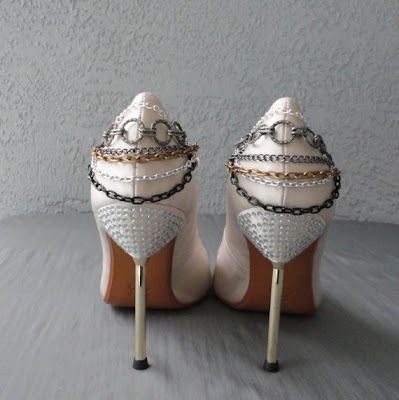 And don't think that you have to relegate your clips to the front of your shoe, get creative and scoot them to the side or clip them to the back of the heel for a look that's custom and totally you!